Given the success of CHC’s TB care in Cambodia, the General Department of Prisons (GDP) has requested that CHC take over and expand the TB and drug-resistant TB treatment programs in the Dangkor district of Phnom Penh, where two prisons house about 3,500 inmates. Médecins sans Frontiéres (MSF) provided TB and HIV treatment services to nearly 300 Cambodian prisoners in Phnom Penh since 2007, but is now handing over that responsibility to the prison system which has limited infrastructure to continue the program. According to a recent report by Cambodia’s National Tuberculosis Program (NTP), TB prevalence in Cambodian jails is seven times higher than the population at large, an astounding statistic in a country with a TB prevalence rate already among the 22 highest in the world. Overcrowding, inadequate infection control, poor nutrition, and inadequate treatment contribute to the growing infection rate. In addition, late case detection increases the chances of TB more easily spreading to other prisoners, staff and visitors, putting nearby communities at risk. 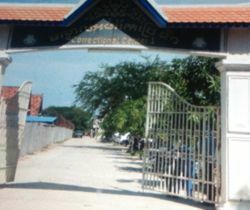 CHC will also provide lab tests and medical supplies, support the hospitalization of prisoners at the Khmer Soviet Friendship Hospital’s Pulmonary Center of Excellence, and work closely with health authorities and community Community Treatment Model leaders to ensure that released prisoners continue and complete their TB care and treatment.